Welcome to the most luxurious wedding venue in London. 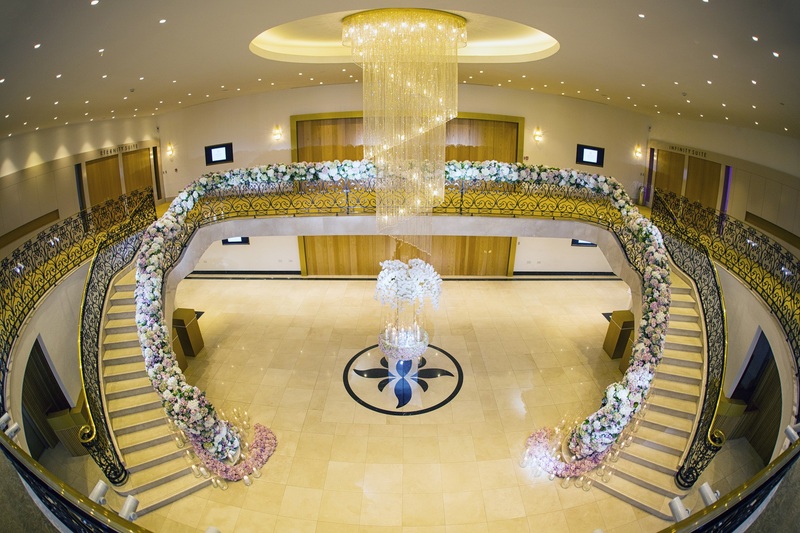 Based just off the North Circular Road (A406), close to East London, Meridian Grand is a 5 star wedding venue which is sure to turn heads. Offering a wealth of flexibility, our purpose built wedding venue is the ideal setting to celebrate your big day! Firstly, congratulations! We know this is both an exciting and slightly daunting time of your lives, when you have so much to plan and organise. Weddings are a momentous occasion and will remain ingrained in your memory for the rest of your life! So making the right choices in venue from the onset will ensure that your day is stress free and all you imagined. There are so many factors to take into consideration throughout the planning process from caterers and florists to venues. Well… look no further! Meridian Grand is here to not only to meet your expectations, but to exceed them. At Meridian Grand, we offer a reliable service which will make your special day flow effortlessly. Many wedding venues exist within London but very few can tick all of the boxes. Our luxury wedding venue provides a full complement of wedding services, including the wedding venue, Asian wedding catering, wedding décor. With a large capacity and a luxury ambience, Meridian Grand is perfectly suited for Hindu weddings, Sikh weddings, Muslim weddings, Jewish weddings and African weddings. 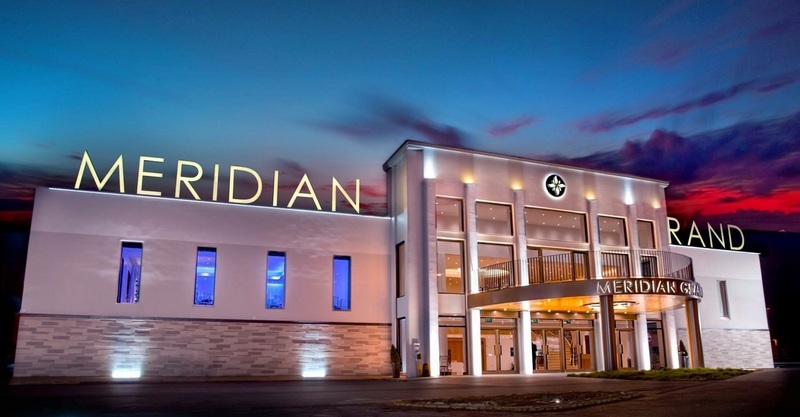 WHAT CAN MERIDIAN GRAND OFFER YOU AS A LUXURY WEDDING VENUE? 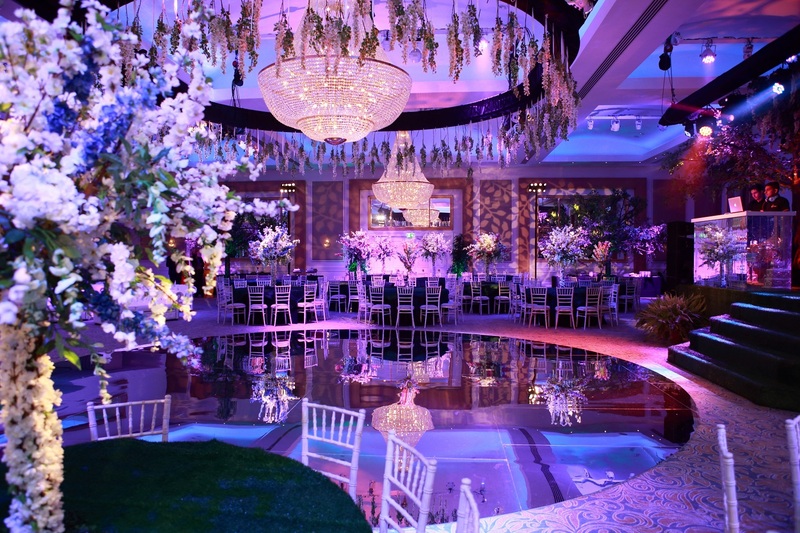 Meridian Grand is one of the most lavish wedding venues in London. Our clients have the exciting choice between two stunning ballrooms which can cater for over 800 guests. The bride and groom have exclusive access to a VIP bridal suite and ensuite showers, so they can easily get ready and also have the option to change their outfit and freshen up in between events. Our stunning ballrooms each have their own beautiful atmosphere to create the perfect mood for your wedding. Set in neutral colours, you have complete autonomy to customise the mood lighting to match your colour preferences. The fashionable atmosphere and elegant décor will add just the extra sparkle you need for your wedding day. Meridian Grand boasts a marvellous entrance foyer which is the perfect place to host your drinks reception and allow your guests the opportunity to mingle and enjoy canapes. The glorious entrance also doubles as a magnificent place for the bride, groom and guests to take photos. Should you decide that you would like to book a string quartet or saxophone, we can organise this too. Our spacious and decadent lobby is the great indoor setting for your guests to enjoy a majestic, calm ambiance set by the stunning Swarovski chandelier and gorgeous double staircase which leads to the balcony. We are completely aware of the level of importance of these elements when selecting the right wedding venue in London for you, in order to create a wonderful and stress-free day. Meridian Grand is equipped with a state-of-the-art kitchen, in which our talented chefs can create you a unique menu that suits your taste and flavours. 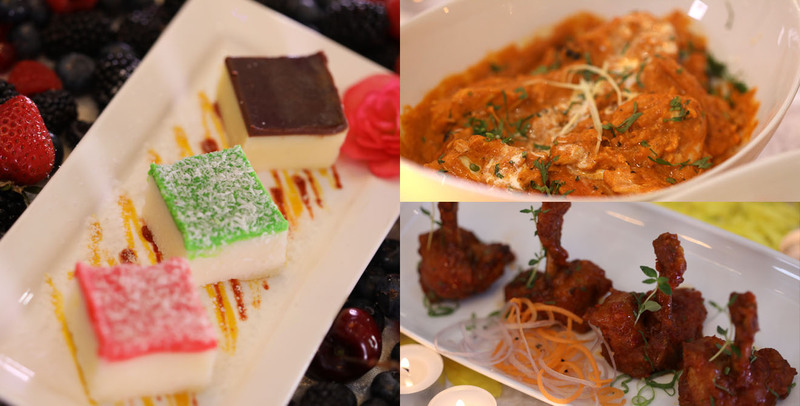 With artistic presentation and rich flavours, our chefs are highly passionate about the cuisines that they offer. Catering for a range of communities and cultures, our in-house chefs can prepare superb menus for all backgrounds including Punjabi, Gujarati, Halal, Kosher and modern European menus. However, if you have a particular caterer in mind for your upcoming wedding, we’ll be happy to accommodate them. Whilst the interior of the venue is of the utmost importance, the accessibility and parking of any London venue is key. You’ll be pleased to know we have a large on-site car park with over 225 car parking spaces that is easily accessible to all of your guests, whether they are travelling from North London, East London or even outside of London. Please feel free to browse through our photo gallery, where you can view our wedding venue and wedding decor set ups for a variety of different events. Please don’t hesitate to also contact us should you have any queries on wedding décor that we can offer you through our sister company, Midnight Garden. Our guarantee to you is that once we have assisted you in creating your dream wedding, our expert team will be on hand throughout the day to coordinate your wedding and ensure that your day runs seamlessly and exceeds your expectations. Contact us today to discuss your wedding venue requirements. Yes, I'm happy to receive marketing communications from Meridian Grand.